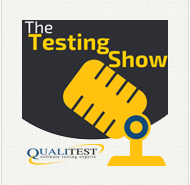 One of the primary reasons that my blog is not as frequently updated as in the past is that I have been putting time into producing The Testing Show. Granted, I could do a quick edit, post the audio and be done with it, but we as a team made the decision we wanted to aim for a show that would flow well, be on point, and also have a transcript of the conversation. At first, I farmed out the transcripts, but I realized that there was a fair amount of industry specific stuff we would talk about that I would have to go back and correct or update, and then I'd have to put together the show notes as well, with references and markers. realizing this, I decided it made sense to just focus on the transcript while I was making the audio edits, so I do that as well. Translation: I spend a lot of time writing transcripts and that cuts into my blogging. 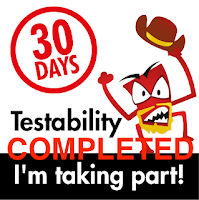 My goal is to make sure that The Testing Show is as complete as possible, as on point as possible, and that the words you hear and read are coherent and stand up to repeated listenings. Also, since it's a primary activity that I do within our little testing community, I really need to do a better job highlighting it, so that's what this post is meant to do. Consider it a little shameless self-promotion with a couple of additional production insights, if you will ;). Occasionally, I get a podcast that tests my abilities more than others, and this week's episode proved to be one of those. We try our best to get the best audio files we can, but sometimes, due to recording live at a conference, or trying to capture a Trans-Atlantic call, we have to deal with audio that is not crystal clear. Often we get background noise that can't be isolated, at least not effectively. We sometimes get audio that is varying levels between speakers (one is loud, the other is soft, and leveling means introducing line noise to compensate for the low volume of a speaker). This time, it was the fact that the audio stream would just drop out mid-sentence, and we'd either have to repeat several times, or we'd lose words at random places. Because of that, this is a more compact show than normal, and that was by necessity. It was also a challenge to put together a transcript; I had to listen several times to make sure I was hearing what I thought I was hearing, and frankly, in some spots, I may still have gotten it wrong. With that, I want to say that this was an interesting re-framing of the testing challenge. Dave Snowden is a philosopher, writer, and principal creator of the Cynefin Framework. "Cynefin" is a Welsh word that means "haunt" or "abode". In other words, it's the idea that there are things that surround you all the time that can give you clues as to what's going on, but you won't notice it unless you "live in it". There's a lot more to the framework than that, and Dave Snowden talks quite a bit about what it is and how it's been applied to various disciplines. Anna Royzman also joined in on the call and discussed her involvement in using Cynefin, and what it might mean for software testers who want to use the framework and approach with their testing. A caveat. This is a framework that has been used in a variety of places, from applications in government to immigration to counter-intelligence and software development. 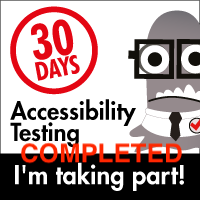 Testing is a new frontier, so to speak, so much of this is still to be determined and very much in the "alpha" stage. Anyway, if you'd like to know more, please go have a listen.